An 8 x 13 steel deck, rear fold-down ramp, single axle, and post jack (no side rails). 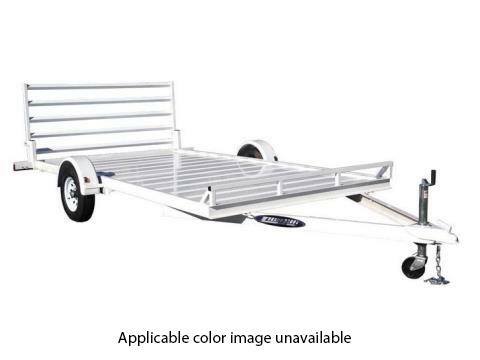 Every Zieman trailer meets or exceeds all applicable Federal Motor Vehicle safety standards. All trailers are sand blasted and have a black or white powder-coated finish. Jack and caster are standard on all models.